Our Junior Program is specifically designed for young adults, ages 11 to 14. The Junior Program is divided into three skill levels, all training on different days of the week. See the Junior Schedule below. This division helps to ensure that our students learn alongside other students at their level and the high instructor-to-student ratio ensures that students receive the support they require to excel. 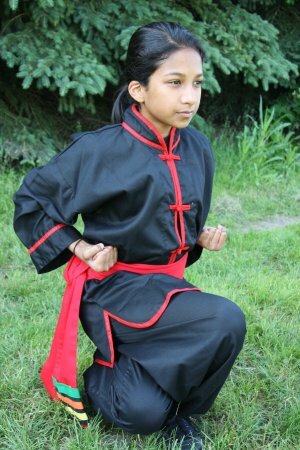 The age-specific curriculum lays the foundation to learn kung-fu, emphasizing values such as respect, discipline and hard work. As students progress through the Junior Program, they experience the benefits of their hard work, such as achieving their next rank, improved listening skills resulting in higher grades, and building friendships with others. Are you a Tree Learner or a Forest Learner? Last newsletter, I focused on the Tiger. The Dragon is the counterpoint to the Tiger in Kung Fu symbolism: the Yang to the Tiger’s Yin. It’s not just the Tiger’s brute strength that makes it a significant symbol in the martial arts.